Well, under $30 for a bottle of wine is doable if you ask me. So, for the month of October at the Park Royal Goverment liquor store you can buy this wonderful bottle of wine for $28 and change . Spicy notes of French oak rise above distinct aromas of cherry and berry. The palate has a backbone of Sangiovese, a roundness of Merlot and enhanced body from the oak. The fruit purity and varietal signatures are testament to the meticulous care given to the young vines. 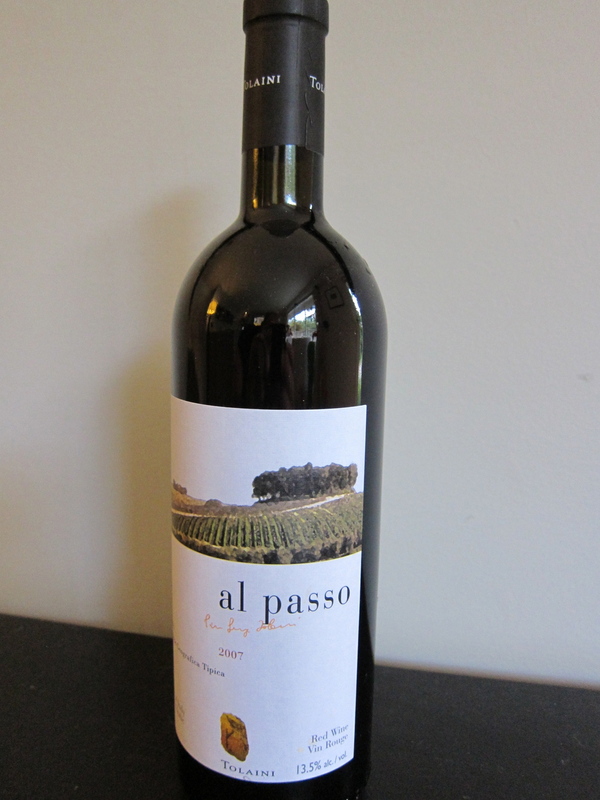 This Sangiovese merlot is terrific with rich hearty fall meals.